ABSCO Industries is a well-known shed brand and has been creating buildings for over 25 years. They have a reputation worldwide for high-quality products and their revolutionary SNAP-TiTE assembly system. 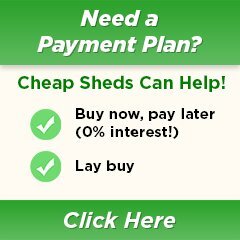 Their sheds are Australian made and come in a variety of shapes and sizes, fitting comfortably into any backyard. They come at very affordable prices, making them extremely popular. 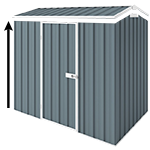 You can choose between a Zincalume and Colorbond shed (5 colours) and from 3 different roof types. You will also receive 20 years written warranty with all products! Use our chat or call us to get in touch and we will help find you the best storage solution for your needs!